The McKenzie Towne School Council establishment meeting will be held on Monday September 14th, beginning at 6:30 pm in the Haultain Memorial School library. This meeting will form the school council and its members and we encourage all parents of McKenzie Towne School students to attend. The McKenzie Towne School Parent Association will hold its annual general meeting immediately following the school council meeting. Our first fundraiser, Student Union Ticket Paks will also begin at the meeting on September 14th. Ticket Paks for Calgary, Red Deer and Edmonton will be available for sale at a cost of $20 per book. 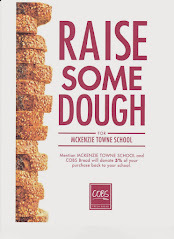 $10 from the sale of each book goes directly to the McKenzie Towne School Parent Association for its fundraising goals. Please support your children, school and community by attending these important meetings on September 14th!